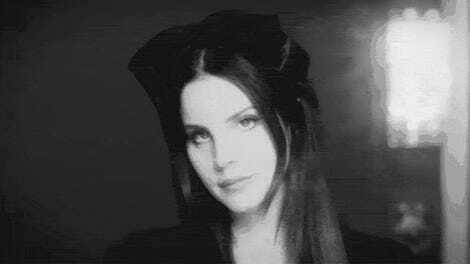 Elusive chanteuse and essential cultural critic Lana Del Rey has a message for everyone downloading leaks of her new album Lust for Life, and that message is that you are a little fucker. Hours after a fan named P#!L shared that they had downloaded the album late Tuesday night, Del Rey (who is one of our most reliably entertaining celebrities) slid into their mentions and called P#!L out as one of the many little fuckers participating in leak culture. When asked if she wanted a link in order to report the leak to whomever you’re supposed to report that sort of thing to, Del Rey replied, “K what is it.” Unfortunately or fortunately, depending on badly you wanted this conversation to continue, the link had already been deleted by the time Del Rey requested it. 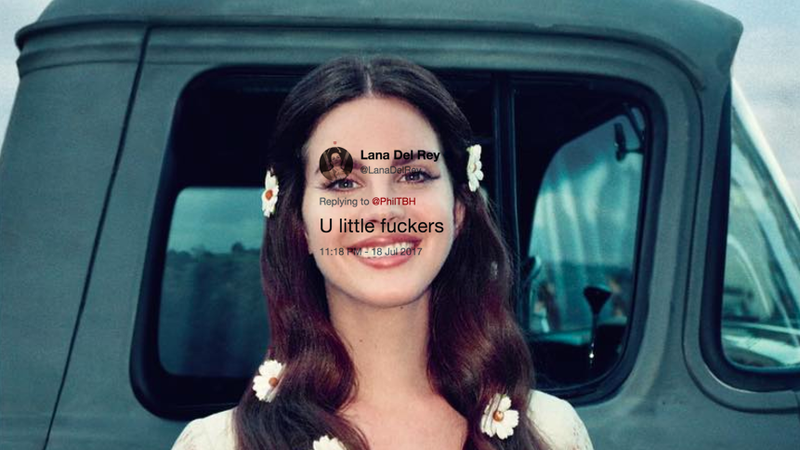 “It’s already deleted Lana,” itsGsusBitch assured her. “Better be,” Del Rey responded. Lust for Life, which features tracks like “God Bless America - And All the Beautiful Women In It” and “When the World Was At War We Kept Dancing,” drops Friday. Be a good little fucker and wait until then to listen.